Go visit any colleges you think may be a match! My best advice for parents of kids entering the college search is to take the time to work with your student and try to narrow the field of so many widely varied colleges and universities out there! If at all possible, go on an actual college visit to as many colleges on your preliminary visit as you can. The school my son was SURE he was going to attend he immediately eliminated once we had been there about an hour. He knew it wasn't the right fit for him! That visit actually led us to the decision to view what seemed to be the complete opposite of where we began our search. And that school turned out to be the winner! He decided on the spot he HAD to attend! And the good news was, he was recently accepted! Thank you Staci for sharing your advice with parents and students. I agree it is very important to visit colleges. 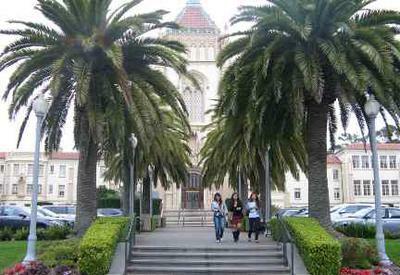 My son had his heart set on one college, but after a tour there, he didn’t like it at all! I also think the college tour experience makes a fun family vacation. Applying to college is a long and stressful process. Yet, it does not have to be that way. In my experience it was very stressful and intense. However, now that I have been through the process, I know what to expect and how mistakes and added stress can be avoided. Being in your senior year of high school is already stressful enough with pressure to keep your grades up for the college you will attend in the fall. Yet, you still must apply for colleges. In my case, I applied to 17. That is too many. So, I recommend visiting as many schools as you can and narrow down your list to around 5 colleges and a safety school. By narrowing down your list you avoid a lot of stress with application deadlines. Another tip: it is never too early to begin applying and writing essays. In my experience, I was very good at following deadlines. This relieved a lot of application stress. However, there was one night I was up very late at the last minute applying to a school. This amounted into a lot of stress, and I felt that I did not complete my application with the same care and originality that I was used to. I recommend giving enough time to properly fill out applications and complete essays in order to ensure that you get into your dream school. In this competitive process, it is important to stay at the top of your game both academically and non-academically. Not only must you maintain a high GPA and earn fantastic test scores, but also colleges are looking for the most well rounded student. This means you must excel academically and in your community. This means: get involved! Join clubs at school and become an active member of your community. In addition, colleges want to see that you have reached out to your community through service projects and organizations. For example, I became heavily involved in my school. I joined the soccer team and joined our student council in order to become an active member of my school community and contribute to the events taking place. This helped with my college search and I also had the opportunity to meet many new people and gain leadership experience. It is never too late to get involved and become an active member of your community. This could also give you a good topic to write about for a college essay. In sum then, to find the best college fit for you and to be come accepted, it is important to narrow down your search and meet the application deadlines. It is also very important to get involved and become a well-rounded student that excels both inside and outside the classroom. Thank you Paige for sharing your college admission advice “Make Applying Less Stressful”. I like your suggestion narrow down your search to about 5 colleges. Best of luck to you. I wasn't even thinking about where I wanted to attend college until my senior year of high school. I knew I wanted to go to a University rather than a Community College, just didn't know where exactly. I grew up in Kansas City, Kansas. So most of my peers decided to go to KU (Kansas University) since it was close to home, but I wanted to get out and see more of the world since I've always been in my home town; which I feel is a good thing to consider when thinking about exactly where you want to spend these upcoming years working towards your degree. Three main suggestions and tips I can pass along would be to attend college tours, have a counselor or mentor help you with the paper work, and do your own research at home. 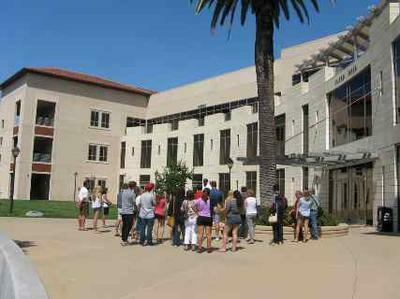 College tours are very important because you’ll have a chance to see what the campus is like, how big the college is, and also able to ask and questions that you may have about that particular college. I’m attending K-State now, and part of my decision to apply and attend here is because of the college tour I had taken. My second tip was to have your school counselor, teacher, mentor, or even a parent help with the admission papers and your portfolio. You’ll be getting a lot of important papers such as ACT scores that you’ll need to send with each admission, letters from the respected colleges themselves, FASFA information, along with others that are vital to know where they are. I remember I had a folder dedicated to this process; because it is a long drawn out process. Lastly, do your own research at home over where you want to go. During this research you should be looking for tuition cost, the majors and minors offered, as well as any clubs or organizations that you may want to be a part of once you get there. Overall, as long as you stay organized and focused on where you want to go, then you should have no problem. Thank you Chance for sharing some great college tips for admission to a college of your choice. Best of luck to you.